Carissa drew her final round game to tie for 2nd-4th place with 8 1/2 points. Based on tiebreaks she finished 4th. Way to go Carissa! Congratulations! Carissa Moves Into 2nd Place! Carissa has won again! She is now 8-2 with one round remaining. She's in 2nd place on tiebreaks and is being paired in the final round against an Indian girl who also has 8 points. The chart below shows the pairings for the final round. Go get em' Carissa! Great news from the World Youth Championships. Carissa won in Round 9 and now stands at 7-2 with round 10 on Friday and round 11 on Saturday. She is a half-point behind the co-leaders, both from India. Also with 7-2 are a Chinese girl, two girls from Iran, and a girl from Israel, whom the Arab organizers disgracefully refuse to identify as an Israeli. The website says that she will have White against Elizaveta Soloshenkina of Russia, a Women's FIDE master - with a FIDE rating of 1761. Solozhenkina has 6.5 points. Carissa's pairing is a tough one, since the Russian girl is a strong player. But Carissa is capable of beating strong players. She has demonstrated that at tournaments in our state. We will keep our fingers crossed for Carissa for the final two rounds of the event. In the 8th round of play, Carissa defeated Diajeng Theresa Singgih of India to move into 7th place at 6-2. The leader lost her first game in this round, so Carissa is now only 1 point behind. There are 3 rounds left. In the 9th round Carissa will be playing 6th seed WCM Ismayil Malak of Azerbaijan. Carissa Coming Back. She's Now 5-2! Carissa is moving back up in the rankings. She is now in 14th place with 4 rounds to go. You have to select U10 games, then Girls U10, and then click on Carissa's game link (thanks to Percy Yip for this info). This morning Carissa lost her 4th round game. She is now in 10th place in the 140 player field. As of this writing she is less than an hour away from starting her fifth round game. It is, once again, against a girl from the northeast - Vittal Sanjana of New Jersey. Good luck Carissa. Today Carissa won against the #1 seed to go 3-0. Based on tiebreaks, she is in 2nd place in a group of 140 girls. Tomorrow morning, Carissa will play as White against WFM Asadi Motahare from Iran. Asadi is the #11 seed. Carissa is #22. 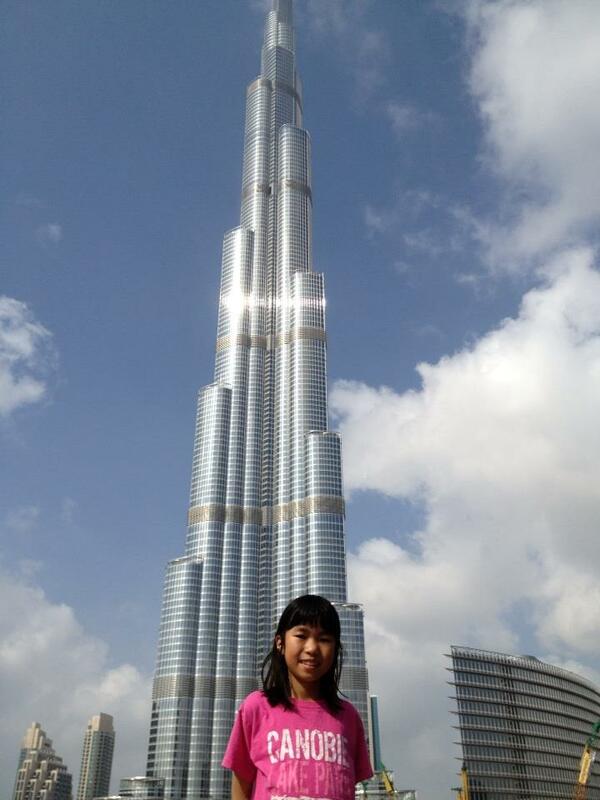 Carissa has won both of her first 2 games at the 2013 World Youth Championships in Al Ain, UAE. Her opponent in the first round was the current German U10 Girls Champion and her opponent in the second round was the current North American U10 Girls Champion from Albany, New York (see photo below). In round 3 Carissa will be playing on Board 1 against the #1 seed! With a final round victory, Mike Lally of Sunderland took first place in the 2013 George Sturgis Memorial by a full point. Tying for second place were a group of 5 players: Carissa Yip of Chelmsford, Steve Nelson of Fitchburg, Ray Paulson of Lowell, Bruce Felton of Fitchburg, and Gary Brassard of Leominster. Congratulations to all! Club Members Current Rating As Of 12/19/13 Total Games This Season Wins Losses Draws Pct. Players must play a minimum of 20 games in the 2013-2014 season in order to qualify for the top division of the club championship. Top 8 players qualify for a single round robin. 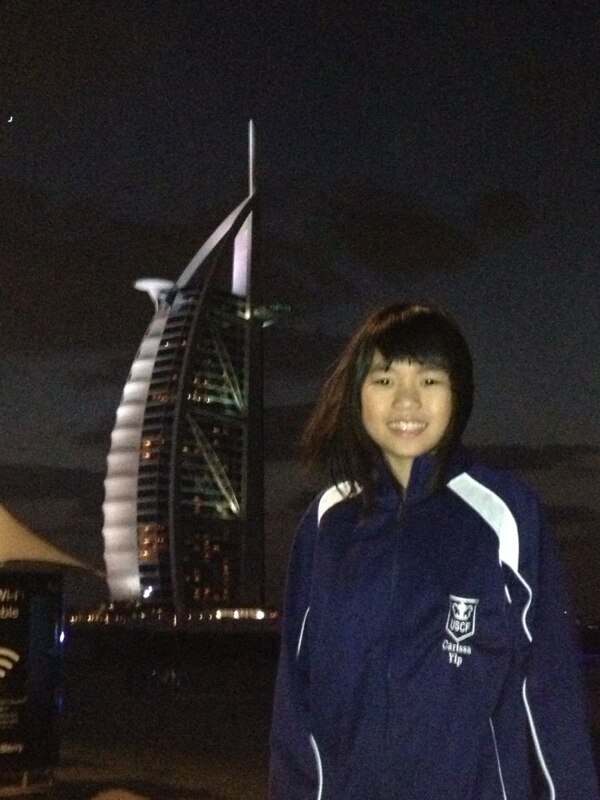 Carissa Yip of Chelmsford, currently the highest-rated player at the Wachusett Chess Club - with a USCF expert's rating of 2023 - is set to play in the World Youth Championships for boys and girls in Al Ain, United Arab Emirates. Carissa will be competing in the Girls Under Age 10 division, which is an 11-round Swiss that begins on Wednesday, Dec. 18 and ends on Dec. 28. The event will be rated by the World Chess Federation (FIDE). Accompanying Carissa to the championships is her father Percy, a loyal Wachusett CC member. Receiving half-point byes were Bruce Felton, Geoff LePoer, Paul Godin, George Miller, Gail Lingner, Jackson Parker, Bob Mathieu, Don Briggs and Francis Scanlon. Withdrawing from the tournament were Stan Talcott, Matthew Ding and Vinny Spingola, the last two of whom did not play a game. Carissa Yip, who is tied for the lead in the tournament, will unfortunately not play the final round since she will be competing in the World Youth Championships in the United Arab Emirates. 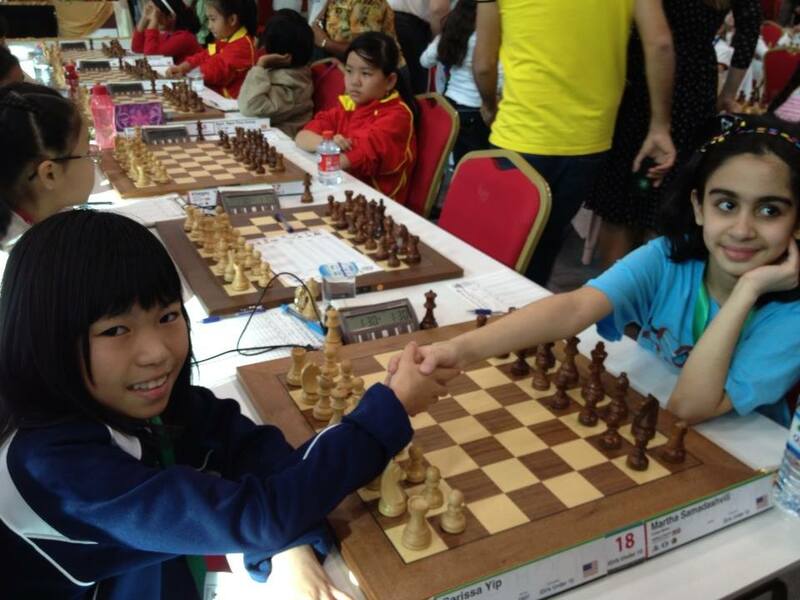 We wish Carissa the best of luck in this World Chess Federation (FIDE)-rated event. Receiving half-point byes were Ray Paulson, Paul Godin, Lenny Arsenault, Stan Talcott, George Miller, Larry Sleet and Francis Scanlon. Not playing the round were Matthew Ding and Vinny Spingola. Please read - One woman's personal account of why most young women stop playing in their teens. Please note that I don't think this applies to anyone at our club. We have a great group of people that I feel privileged to be associated with. I fervently hope that Carissa never experiences any of this. Claims Carlsen Had Access to Unpublished Material! 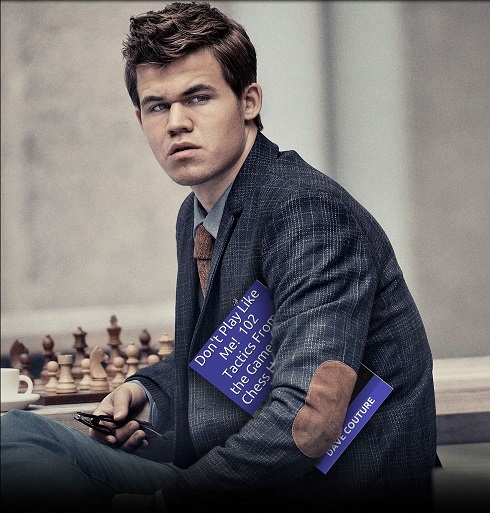 In what is being called the biggest scandal since the discovery of the 2 dead flies in the overhead lighting fixtures at the 1972 Fischer vs. Spassky match, Magnus Carlsen has been accused of somehow getting a copy of the book, “Don’t Play Like Me!” before it was available on amazon.com (see photographic evidence below). In a press release, Anand stated, “That little <expletive deleted>! If I had had access to that book, Carlsen would be back to a career in fashion modeling faster than you can say Viswanathan Anand!!" Anand added, "I guess that's not saying much since it's apparently not clear to anyone how to pronounce my name." Receiving half-point byes were George Mirijanian, Geoff LePoer, Stan Talcott, Jackson Parker, Matthew Ding and Vinny Spingola. Receiving half-point byes were Steve Nelson, George Mirijanian, Larry O'Rourke, Matthew Ding, Vince Premus and Vinny Spingola. Gail Lingner - no bye per request. Players need to play a minimum of 20 games in the 2013-2014 season in order to qualify for the top division of the club championship. Top 8 players qualify for a single round robin. With a win in the final round, Geoff LePoer of Westford pulled even with Ray Paulson of Lowell who did not play the final round. Tying for 3rd place were Bruce Felton of Fitchburg, and Larry Gladding and Ken Gurge, both of Leominster. Congratulations to all. Once the tournament has been rated, we'll report on the players with new all-time high ratings and/or big rating increases. Not playing the round were Ray Paulson, Steve Nelson, Arthur Barlas, John Bastarache, Vince Premus, Larry Sleet, Jackson Parker, Larry O'Rourke and Stan Talcott. Dave Couture was withdrawn from the tournament. Receiving half-point byes were Geoff LePoer, Arthur Barlas, John Bastarache, Larry Sleet, Stan Talcott and Vinny Spingola. Not playing the round were Paul Godin, Mike Lally, George Miller and Dave Couture. Withdrawing from the tournament were Andrew Paul and Duncan Premus. Receiving half-point byes were Steve Nelson, George Mirijanian, Paul Godin, Geoff LePoer, Mike Lally, Lenny Arsenault, Dave Thomas, George Miller, Stan Talcott, John Bastarache and Vince Premus. Not playing the round were Dave Couture, Andrew Paul and Duncan Premus. Withdrawing from the tournament were Anil Marthi and Martin Laine. Receiving half-point byes were George Mirijanian, Dave Couture and Francis Scanlon. Not requesting a bye was Gail Lingner. Bruce Felton of Fitchburg, the club blitz champion, took clear 1st place in the IM Jonathan Yedidia Quinquagenarian Open. Geoff LePoer of Westford took clear 2nd and the following 5 players tied for 3rd: Steve Nelson and George Mirijanian of Fitchburg, Ray Paulson of Lowell, Paul Godin of Bedford, and Mike Lally of Leverett. Congratulations to all! Not playing the final round were Larry Gladding (chief TD), Anil Marthi, Arthur Barlas, Martin Laine, Dave Thomas, Alan Condon, Gail Lingner, Harry Richardson, John Bastarache, Andrew Paul, Vince Premus, Duncan Premus, and Vinny Spingola. REMINDER: The Ernest E. Fandreyer Memorial begins next Wednesday, Oct. 9. Players must be present by 7:10 p.m. in order to be paired for Round 1 of the 5-round Swiss tournament. The time control for this tournament and all subsequent tournaments will be G/100 with a 5-second delay. With one round still to go, 2-time club champion Bruce Felton of Fitchburg has clinched at least a share of 1st place. He is currently 4-0 and the 4 players tied for 2nd place are a full point behind. Receiving half-point byes were George Mirijanian, Anil Marthi, Arthur Barlas, Gail Lingner, Stan Talcott, Andrew Paul and Francis Scanlon. Not playing the round were Harry Richardson and Larry Sleet. Receiving half-point byes were George Mirijanian, Ray Paulson, Paul Godin, Martin Laine, Jackson Parker, Harry Richardson, Vince Premus, Duncan Premus and Vinny Spingola. Withdrawing from the tournament were Carissa and Percy Yip. Projected SwissSys Round 4 pairings will be sent to players as soon as they are made available from Larry Gladding, who has taken over as chief TD - with George Mirijanian as his assistant. REMINDER: Players must be present by 7:10 p.m. in order to be paired for the round. Players expected to arrive later than that who wish to be paired must call Ken Gurge (978-764-8221) at the club by 7 p.m. Receiving half-point byes were Steve Nelson, Carissa Yip, Larry Gladding, Percy Yip, Brian Biglow, Jackson Parker, Harry Richardson, Francis Scanlon and Vinny Spingola. There were 3 upsets tonight and a couple of close calls. Len Arsenault of Leominster won a 427 point upset. Brian Biglow, also of Leominster, pulled off a 358 point upset, and Harry Richardson of Fitchburg prevailed in a 553 point upset. Congratulations to all 3! Receiving half-point byes were George Mirijanian, Ray Paulson, Carissa Yip, Alan Condon, Percy Yip, Larry O'Rourke, Vince Premus and Duncan Premus. Ray Paulson of Lowell won his final round game against co-leader Steve Nelson of Fitchburg to take clear first in the GM Lubomir Kavalek Septuagenarian Open. Dave Couture of Westminster finished second. Steve Nelson of Fitchburg, Paul Godin of Bedford, and Ken Gurge of Leominster all tied for third. Congratulations to all! Not playing the final round were George Mirijanian, Anil Marthi, Mike Lally, Martin Laine, Stan Talcott, Larry Sleet, Jackson Parker and Vinny Spingola. Thanks to Club Director George Mirijanian for compiling the following stats. Club Members Total Games This Season Wins Losses Draws Pct. P. S. Players will need to play a minimum of 20 games in the 2013-2014 season in order to qualify for the 2014 club championship. Congratulations to all the following players who either achieved new all-time high ratings and/or increased their ratings by 50 points or more from the GM Lubomir Kavalek Septuagenarian Open. The following club members are among the top 200 players in Massachusetts> Congratulations to all! Receiving half-point byes were George Mirijanian, Martin Laine, Stan Talcott and Vince Premus. Not playing the round was Duncan Premus. Mike Lally withdrew from the tournament. REMINDER: Players must be present by 7:10 p.m in Room C159 of the McKay Campus School in order to be paired. Late arrivals will not be paired, unless they notify the TD before 7:10 p.m. via Ken Gurge (978-764-8221) that they will be late. Club member Jackson Parker of Fitchburg is currently leading the Chess Magnet School Junior Grand Prix for Massachusetts players. Club Director George Mirijanian says, "I think that one of the things that helps Jackson be high in the standings is that nearly all the Wachusett CC tournaments qualify for the Chess Magnet School Junior Grand Prix." Congratulations Jackson! Receiving half-point byes were George Mirijanian, Dave Couture, Duncan Premus, George Miller, Larry Sleet and Vinny Spingola. Steve Scott Nelson of Fitchburg, Wachusett Chess Club champion in 1976, returned to the club to play in the current tournament. He has not played rated chess in more than 30 years! The club welcomes his return. Receiving half-point byes were Mike Lally Larry Gladding, Ken Gurge, Tom Fratturelli, Gail Lingner, George Miller, Matthew Ding, Larry Sleet, John Bastarache and Vinny Spingola. Receiving half-point byes were Dave Couture, Gail Lingner, Stan Talcott and Harry Richardson. Eric Strickland of Brattleboro, VT came to the club a month ago and has made a name for himself in his first tournament. Eric was a perfect 5-0 in the 2013 Harlow B. Daly Memorial tournament. He finished first in a field of 43 by a full point. Club Director George Mirijanian notes that 43 players is a club record for a weekly tournament held in the summer. Tying for second with 4 points were Paul Godin of Bedford, MA and Bruce Felton of Fitchburg. Congratulations to all. Not playing the final round were Carissa Yip, Ray Paulson, Vaughn Allen, Alex Yu, Percy Yip, John Bastarache, Brandon Wu, Tom Giampietro and Vinny Spingola. REMINDER: The next tournament at Thompson Hall is the GM Lubomir Kavalek Septuagenarian Open, which begins July 31. Players must definitely be present by 7:10 p.m. in order to be paired for the first round. Allow yourself extra time to find a parking spot. Congratulations to all of the following players who either achieved new all-time high ratings and/or increased their ratings by 50 points or more. Based on the results of the Harlow B. Daly Memorial, the first of 8 tournaments in the 2013-2014 season, here are the current qualification leaders for the 2014 club championship ("A" Division). Top 8 will qualify. Club Members Wins Losses Draws Pct. P.S. Players will need to play a minimum of 20 games (equivalent to 4 tournaments) in the 2013-2014 season in order to qualify for the 2014 club championship. Receiving half-point byes were Carissa Yip, Ken Gurge, Alan Condon, Percy Yip, Wayne Steadman, George Miller and Tom Giampietro (who has withdrawn).. Not playing the round were Alex Yu (who has withdrawn), Arthur Barlas and Brandon Wu. A reporter from The Sun came to interview Carissa yesterday, and they uploaded a "fun" video of Carissa playing blind chess with the reporter. They said a story about Carissa will appear in The Sun this coming Thursday. It is a fun video. Receiving half-point byes were Carissa Yip, Martin Laine, Alan Condon, Percy Yip, Brandon Wu, John Bastarache, George Miller, Stan Talcott, Tom Giampietro and Vinny Spingola. Not playing the round was Arthur Barlas. 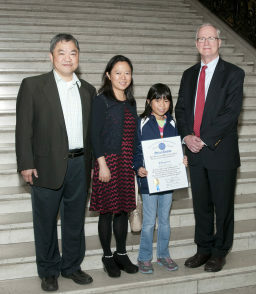 The USCF has confirmed that 9-year-old Carissa Yip is the youngest female ever in the United States to achieve an Expert rating! Next in Carissa's sights - none other than current (and many time) U. S. Women's Champion IM Irina Krush, who became the youngest Master ever at the age of 12. Keep on rockin' Carissa! Here are complete results from Wednesday night. We welcome three new players in the tournament: the father-son team of Vince and Duncan Premus from Pepperell and Brandon Wu of Acton. - George M.
Arthur Barlas received a half-point bye, while Stan Talcott requested a zero-point bye. Withdrawn from the tournament were Gary Brassard, Trevor Bierig, Tom Fratturelli, Matthew Ding and Brian Contois. 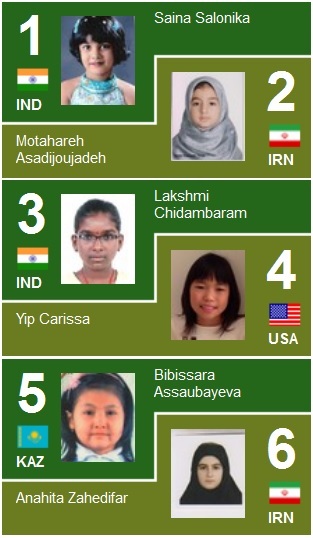 Carissa recently won the 2nd Online National Invitational Championship in the U10 category. Here is a quote from the report "The young and talented Carissa managed to "beat out the boys" in the Under 10 Section with an amazing last round victory as black. Her resourcefulness and creativity will surely be trademarks of her chess style for years to come. Carissa finished with a score of 5 points, half a point ahead of the field." Carissa also had an excellent result in the Boylston Chess Club's Emmanuel Lasker tournament yesterday (Saturday, June 29th). She competed in the Open section (4 rounds) defeating Experts SIDDHARTH ARUN and OLIVER TRALDI, and scoring a draw against Candidate Master (and tournament winner) ERIC J GODIN. With this result Carissa achieved an Expert rating for the first time and passed ANIL K MARTHI to become the highest rated player at the club. Carissa's father, Percy Yip said, "I was hoping (for) Carissa to reach expert level while she still is 9, and my dream comes true! Now I have a bigger dream, and hope that dream will come true too." Receiving half-point byes were Gary Brassard, Arthur Barlas and Dave Couture. Declining a bye was Gail Lingner. Not playing the round were Trevor Bierig, Tom Fratturelli, Matthew Ding, Larry Sleet, Brian Contois and Vinny Spingola. REMINDER: Players must be present by 7:10 p.m. in order to be paired for the round. Limited parking is available in the lot next to Thompson Hall, where we definitely will be meeting in air-conditioned Room 111 for the round. Parking spaces are available along Highland Avenue on the right and in front of the Anthony and Sanders buildings on the left. NOTE: Final site update for week not complete. As of last week, 7 of the 8 participants in the club championship still had a chance to win the championship. Even after Wednesday night's games, it came down to the makeup games. George Mirijanian of Fitchburg needed a draw in his makeup game against Bruce Felton (also of Fitchburg) and was able to secure it in a 57 move game that did end in a draw. Bruce ended up a half point behind George, tied for 2nd with Larry Gladding of Leominster and 9 year old Carissa Yip of Chelmsford. Both Larry's and Carissa's championship bids were upended by draws with Ken "The Spoiler" Gurge of Leominster. Congratulations to everyone for a very hard fought championship! Anil Marthi Wins B-Section By a Mile! Newcomer Anil Marthi of Shrewsbury won the WCC Championship B-section by a full 2 points. He went 6-0. When the tournament started on May 1st, he was rated 1812. His post-tournament rating was 1987. Paul Godin of Bedford, Paul Connelly of Marlboro, NH, and Dave Thomas of Leominster all tied for 2nd place. Congratulations to all! The following players all increased their ratings by at least 50 points. The following players all increased their ratings to new all-time highs. Here's a letter I wrote to "Chess Life". It will be appearing in the July issue. The title is a reference to a widely circulated letter by John Kipling Lewis titled, "Castling in Chess960: An appeal for simplicity". Chess960 is a noble, but flawed attempt to force players to start thinking from the very first move of the game. The biggest problem with Chess960 are the bizarre castling rules. For anyone not familiar with Chess960, consider the following, which is just one bizarre aspect of “castling”. Depending on the opening setup, when castling, the king can move anywhere from 5 squares to 0 squares to -1 squares (yes, the king can actually move in the opposite direction than it normally would). It would be difficult to teach this maneuver to anyone not familiar with standard chess. A variant called Chess480 seeks to simplify these castling rules, but in doing so creates some of its own issues. I propose a variant which achieves the goal of eliminating memorization of openings while avoiding the failings of both Chess960 and Chess480. This variant, which I have dubbed Chess18, has a randomized opening setup just like its “predecessors”. The difference is that the rooks and the king start on the same squares that they do now so that castling remains exactly the same as it is now – problem solved! An additional benefit of Chess18 is that it avoids the situation in Chess960 where with some opening setups white can attack an undefended black pawn with her first move. When Bobby Fischer met with former FIDE President Kirsan Ilyumzhinov to propose the switch to Chess960, Ilyumzhinov advocated "step by step" changes mindful of the heritage of chess. Well, here is such a step. With one round remaining (plus 4 makeup games), 7 of the 8 players are still in the running to become club champion! Carissa Yip and Arthur Barlas lead the standings by points. George Mirijanian leads the standings by winning percentage, and Larry Gladding has the highest expected final score (based on remaining strength-of-schedule). Player W L D Pts. GR Max Xpctd Pct. Anil Marthi has clinched at least a share of 1st place with one week remaining. If he draws or wins against Paul Godin next week, he will win the "B" Division. Meanwhile, with another draw this week, Jim "The Grinder" Hankard has stretched his undefeated streak to 6 games. Receiving half-point byes were Paul Godin, Mike Lally, Percy Yip, Harry Richardson, George Miller, Matthew Ding, Brian Contois, Stan Talcott, and Francis Scanlon. All is chaos as the competition for the Wachusett Chess Club championship is heating up. Going into tonight, George Mirijanian, Bruce Felton, and Carissa Yip were tied for 1st place. George's game was postponed and both Bruce and Carissa went down to defeat to Arthur Barlas and Larry Gladding respectively, allowing the latter two players to close in on the leaders. Player W L D Pts GR Max Xpctd Pct. Receiving half-point byes were Paul Godin, Ray Paulson, Percy Yip, Larry Sleet, Brian Contois and Vinny Spingola. Here are the Strength-of-Schedule numbers for the 4 players above .500. Receiving half-point byes were Lenny Arsenault, Larry Sleet, Francis Scanlon and Vinny Spingola. Receiving half-point byes were George Miller, Gail Lingner, Stan Talcott and Jackson Parker. A very interesting tactic. White to move (Black has just played fxe4). Receiving half-point byes were Anil Marthi, Dave Couture, Tom Fratturelli, Michael Lally, George Miller, Gail Lingner, Percy Yip, Stan Talcott and Francis Scanlon. Harry Richardson received a full-point bye. Brian Contois received a full-point bye, while Gail Lingner received a half-point bye. LOST AND FOUND: A blue Saitek clock was left at the clock as well as two pairs of eyeglasses. Contact George Mirijanian if you need these items before next Wednesday. Here are the final Grand Prix standings for the year. The top 8 finishers qualify for the club championship. However, Lenny Arsenault and Jim Hankard have yielded their qualifying spots to allow George Mirijanian and Marty Laine to play in the championship section. The championship promises to be hard-fought with 4 former club champions (George Mirijanian, Larry Gladding, Bruce Felton, and Marty Laine) competing as well as 9 year old Carissa Yip who has the highest winning percentage of anyone in the section. Two of our furthest commuting members have tied for 1st place in the 2013 Evert Siiskonen Memorial. Mike Lally who drives in all the way from Westfield and Ray Paulson who hails from Lowell, tied for 1st place with final round victories. Mike is competing again after a 16-year break from competition. Trevor Bierig of Clinton took 3rd place in the 36 player field. Congratulations to all! Not playing the final round were Paul Godin, Geoff LePoer, Michael Manisy, Martin Laine, Alan Condon, Dave Couture, Percy Yip, Max Sewell, Larry Sleet, Stan Talcott, John Bastarache, and Brian Contois. "B" Division players must be present by 7:10 p.m. in order to be paired for the round. The top 8 players qualify for the club championship. Those in green have already clinched a spot. Receiving half-point byes were Michael Manisy, Dave Thomas, Max Sewell, Don Briggs and Stan Talcott. Not playing the round was Martin Laine. REMINDER: Players must be present by 7:10 p.m. in order to be paired for the final round. Receiving half-point byes were Geoff LePoer, Carissa Yip, Martin Laine, Stan Talcott and Brian Contois. Not playing the round was Percy Yip. Receiving half-point byes were Martin Laine and Percy Yip. Not playing the round were Gail Lingner and Francis Scanlon.